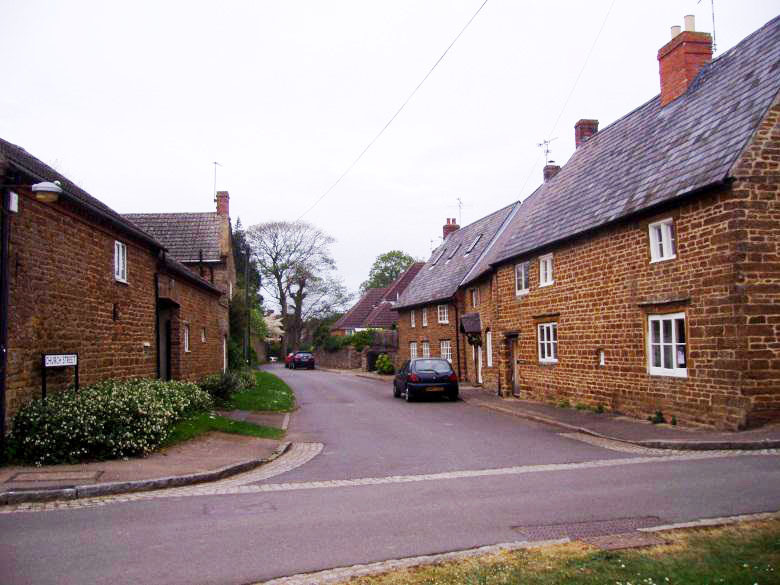 Staverton is a village and civil parish in the south-west of Northamptonshire, England. 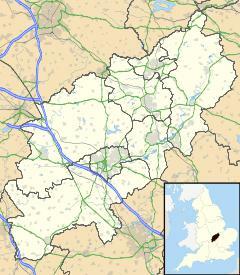 It is 2.3 miles west of Daventry, 7.9 miles east of Southam and 15.3 miles east of Leamington Spa. It straddles the A425 road from Daventry to Leamington. 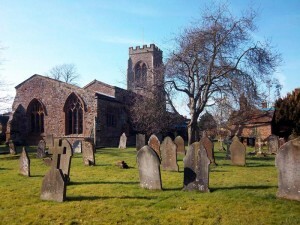 The village sits on the edge of an escarpment and has views westward across the valley of the River Leam into the neighbouring county of Warwickshire. Both the Malvern and Shropshire hills are visible on fine days. 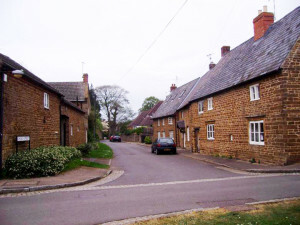 The average elevation of the parish is 700 ft above sea level, and approximately 1.5 miles south of the village is Arbury Hill which, at 225 m (738 ft), is the highest point in Northamptonshire. On the summit, evidence of an Iron Age hill fort of an unusually square shape is plainly seen. The River Nene rises nearby. The Jurassic Way and the Three Rivers Circular Walk pass through the parish. Staverton parish had a population of 468 at the 2001 census. There is one public house, The Countryman, formerly known as the New Inn. Former Staverton pubs included The Windmill in Windmill Lane and The Crown, now a private house, opposite The Green. Across the road from the pub, there is a garage. There is a garden centre on the Badby Road out of the village. East of the village on the Daventry road is Staverton Park, where the facilities include an indoor leisure complex and an 18-hole golf course and driving range. The first mention of a post office in the village was in 1864, but the post office closed in March 2008.